‘Health is wealth’ and ‘Prevention is better than cure’ are the famous wise sayings that we often hear, read and discuss. The first adage emphasizes on the importance of maintaining the well-being at all times and the second one stresses up on the need of being cautious about various habits without which the health can get damaged including fatality. These sayings are not impractical preaching but have come out of dreadful experiences which would have caused great misery to whosoever uttered these adages for the first time. In today’s society, healthy living has become a daunting task due to several hazardous challenges. High volumes of environmental pollution, drastic changes in lifestyle, thinning of the boundary line between personal life and working life, synthetic/processed foods with artificial ingredients, rampant usage of pesticides and insecticides and many other factors are posing great threat to the overall health management of the populace. Thus Health & fitness have become top most priorities for an individual to protect him/herself from impending illness. Not only the individuals but the governments in all countries have understood that a robust society can only be built with healthy population. International organizations like World Health Organization (WHO) have started undertaking mass field studies with an aim of identifying the geo-specific health vulnerabilities and drafting the preventive measures. 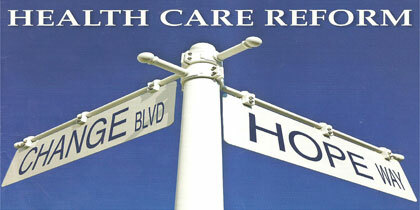 Health care reform programs, which are specific to each country in the world, have been advocated by WHO which if implemented by the governments can yield positive health management. Healthcare is the supervision of physical and psychological health parameters of individuals which uses standard procedures and renders the services under ‘healthcare services’. In reality, absolute health has remained as a distant dream. 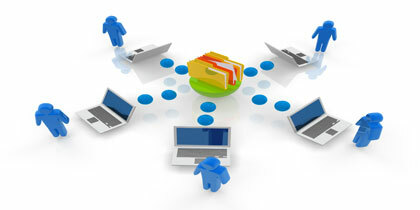 This is due to the difficulties that come across the way of implementing an effective operation and management schemes. Hence, in the olden days medical practitioners and organizations were able to focus on disease control alone and without achieving much success in prevention and eradication. In the modern times, those hurdles have been crossed by utilizing the various technological advancements like speedy transportation, medical and pharmaceutical research, invention of new equipment’s etc. These improvements have assured the public and governments alike about foreseeing a better world in which complete healthcare can be achieved with less or no failures. It must be borne in mind that health does not mean not having sickness. Complete health is a status wherein the well-being is assured by all means. Well-being comprises of two integral aspects i.e. Physical health and Mental health. Complete health is understood to be prevailing when an individual shows the signs of well-being in both physical and mental health. The aspects of physical and mental health are independent but interdependent systems and hence it is essential to diagnose both. The six combinations of these two aspects, thus drawn, and their diagnosis would help the healthcare experts to understand the levels of well-being of an individual. 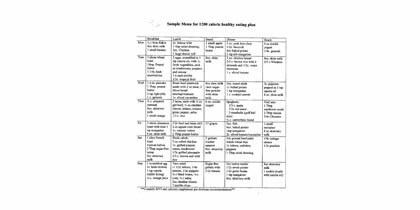 These thorough studies enable them to advice the individuals about the methods of maintaining fitness. Health and fitness go hand-in-glove to offer an integrated program to sustain the well-being and strengthens the immunity of an individual to fight against the illness. In this, fitness occupies a pivotal position as it can act like a shield against many common diseases. Fitness does not necessarily mean body building but it is the holistic approach to develop athletic body with regular workouts and exercises. Dieting is another important segment of fitness program. Good health is the resultant of good food and proper physical exercises. 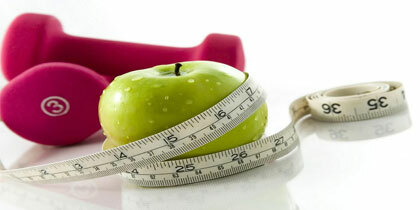 As diet is the basis of health and fitness, food and nutrition programs have lot of prominence in complete healthcare. A well balanced diet improves the overall body composition and appearance. Food intake is measured in calories and the quantum of calories would determine the body type. High calorific intake would result in to overweight or obese body and in contrary, lesser calories result in to weak body. Hence there is need to balance between the calories in and calories out for better health. Inbound calories are controlled through diet foods and the outbound calories have to be burnt through regular physical exercises/activities. With this basic arithmetic principle, complete health and fitness is achieved by balancing the calories. Dietary programs are the best resources to have a control on the calorific intake and they help in inculcating good eating habits. They also provide insight into the harmful junk foods which add empty calories to the body and force the people to gain weight. The chief purpose of food & nutrition is to cut the unhealthy food items out of the menu and replace them with healthy dietary stuff. Dietary plans are the integrated food plans that offer healthy foods by replacing the junk foods like calorie-rich processed foods, carbonated soft drinks and all other sundry items that ignite binge or uncontrolled eating. Tran’s fats are considered to be harmful to the health when consumed regularly. The excess eating of these fats leads to cardiac problems, obesity etc. 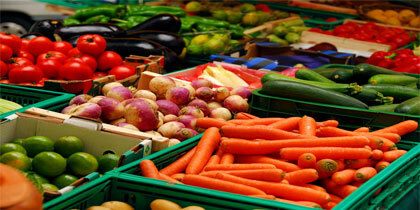 Diet program is made up with naturally processed, organic, trans-fat free food varieties. Health diet plans are not time-bound activities but should be carried throughout the life time. If anyone stops them abruptly, they tend to lose the benefits gained till then. Obesity is the biggest health threat being faced by every country and community in the world. World Health Organization has expressed its concern over the alarmingly increasing numbers of obese people and to cope with this situation has issued several guidelines from time to time. Many governments have established supervising agencies to monitor the effective implementation of these recommendations. Many seminars, conferences, classes are being conducted to sensitize the people on obesity and the need to lose weight. Weight loss is similar to dietary plan i.e. a continual health program that must go on throughout the life. Losing weight is possible only when the food and physical activity are controlled through rigorous checklists. 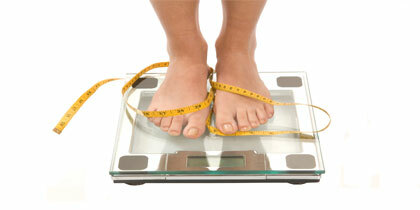 More importantly, people must avoid eating junk food and do regular exercises in order to check the weight gain. Apart from food and physical activity, mental health plays major role in weight loss. Unnecessary anxiety, worries, drug addiction etc. cause obesity. Hence, people who wish to shun the excess baggage of weight should motivate themselves psychologically as well. Women are the hardworking folks who slog at domestic and work fronts. Also, the delicacy of their bodies and more importantly their pregnancy are the great vulnerabilities for health related hazards. Hence, women’s health needs are different from the men and they need precise medical attention. All the governments have established exclusive agencies that deal with the health of women and children. Dedicated staff and trained professionals are deployed on full time basis to carry out the necessary programs that can improve the health standards of women. Children are the bundles of joy of their parents. They are tender, warmth and spread happiness wherever they are. But their delicate bodies can fall easy prey for many diseases which could become fatal if not attended to immediately. Growing children in third world countries are facing health hazards like malnutrition. 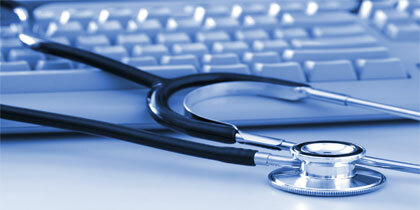 World Health Organization and many federal agencies are working towards a common goal i.e. 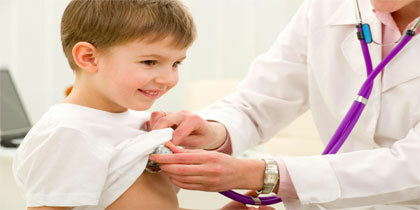 providing utmost medical care and health protection for infants and children. Mankind cannot survive without food and human tongue craves for new tastes at all times. This undying craze for enjoying taste is the root cause of various miserable diseases. Binge eating is not only harmful but becomes an addiction. Similarly, the prolonged hours of physical inactivity caused by excessive sitting being encouraged by the modern lifestyle is posing a great threat to health and fitness. The need to spread the awareness about the health aspects has given rise to the creation of Healthcare education for professionals, patients and sometimes for the family members. 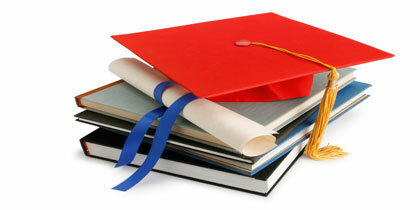 Healthcare education is being imparted in many ways like through awareness campaigns, seminars, conferences etc. and also being offered online through webinars. Many governments in the world have undertaken several reforms in healthcare sector with an intention of offering affordable healthcare services to one and all. These reforms are intended to extend global medical support to their citizens, reducing the medical expenses so that everyone can get benefited with quality treatment, improving the quality of healthcare, control over medical insurance etc. These reforms can improve the standards of life and offer equal opportunities for rich and poor, old and young, employed and unemployed in accessing the best medical facilities and treatments. On the other hand, individuals are also needed to act on their own by having proper medical insurances that cover the family members as well. As it is highly essential for an individual to go for an insurance coverage, a question arises as to what is healthcare insurance and how to understand it before paying for the same. 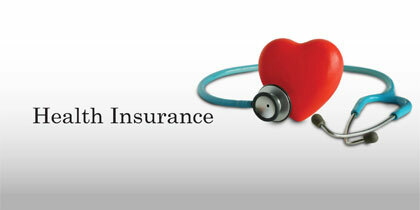 Health insurance is a coverage which offers the reimbursement of medical expenses with certain omissions and commissions. This insurance can be obtained either individually or through the employer. For individual insurance, people have to pay the premium while for other type; the employer would pay the premium on behalf of their employee. Insurance companies lay down certain terms and conditions which need to be carefully read and understood by the individuals before paying for it. All the clauses publishing in the fine prints must be thoroughly gone through to avoid confusion and frustration in future. With the rise in number of private hospitals which offer all healthcare services under one roof, healthcare management has become a specialized subject. The leadership that provides directions and runs the operations, coordinates different departments, units and/or services is called as Health care management. Healthcare management is the name given to the function that oversees all the functions of a healthcare system or facility or company. Generally, hospitals are those that undertake healthcare management followed by diagnostic centers and research facilities. Health is the ultimate treasure that brings the true pleasure to everyone. Discipline, dedication and determination are the buzz words in managing one’s health. Fitness, food and physical activity are the keys to unlock the health treasure.